Hey guys, my name is Drew Conner. I had a very successful cross country and track career during my tenure at Fayetteville High School before graduating in 2004. I attended the University of Central Arkansas in Conway, Arkansas. I led the team there for five years before graduating with my Bachelor's Degree in dietetics in 2009. I want to use my skills and experiences as a runner to help others get into the sport that I love. I also want to use my knowledge of nutrition to help others achieve their weight and health goals whether they be running/walking related or not. Diet and exercise can be two of the most difficult things to do successfully on your own, so don't be afraid to ask what may seem like the most simple questions about one or the other. Likes: My beautiful wife Alicia, running in thunderstorms, sushi, and driving fast. Dislikes: Hill repeats and spider webs. Hi! My name is Keri Letson. I was born and raised in a tiny little town in Southwest Missouri called Ash Grove. I moved to Bentonville when I married my husband almost 20 years ago. I love this great community we live in! I ran for my high school track team, but stopped running when I went to college. I took up running again in 2008, but it was sporadic. Until I stumbled across a sign-up for this newly formed half marathon training group, administered by Mike Rush, that Bentonville Parks and Rec was starting. I signed up on a whim and ran my first half marathon in the Spring of 2012. After that, I was hooked on running! I've run several half and full marathons since then and hope to qualify to run the Boston Marathon someday! I am so excited to be a part of the Rush Running family so I can pay it forward by helping people reach their running, walking, or healthy lifestyle goals. Stop by the store and say Hi anytime! Dislikes: Winter, the color pink, eggs, and wet shoes. Hey there! My name is Nathan Sellars. I was born in Layton Utah, a small suburb located not far from the capitol of the beehive state (Salt Lake City). It is there that I discovered my passion for the mountains, the cold weather, and Classic Rock! I currently run Cross Country at Bentonville High School. I have been running for a little over five years now and I am building up my endurance in order to run my first full length marathon. I began running in the seventh grade at Washington Jr. High school. Since then, I have grown from being one of the slowest members on the team who finished well behind the pack in numerous races, to becoming a more experienced runner who has finished in the top three places of my age group in recent half marathons. Likes: Classic Rock, English Bulldogs, the mountains, traveling, cold weather, waking up early, and the United States Naval Academy (USNA). Dislikes: Bad drivers, procrastination, slow or no Wi-Fi connection, leaving my comfort zone. Hey there, my name is Stuart Jackson. I was born and raised in Jenks, Oklahoma (Go Trojans!). I started running in the 6th grade when I joined Jenks America Track Club. At first, I didn't really get it. It was painful and I didn't really enjoy it. I stuck with it though, and fell in love with the sport and the challenge it provided. I've been running ever since! I ran competitively in middle school and high school and still try to run as fast as I can. I also enjoy spending time doing other outdoor activities such as backpacking and rock-climbing. I worked as a whitewater rafting guide in Colorado on the Arkansas River. I graduated from the University of Arkansas (Go Hogs!) in 2014 with a degree in Business Economics. 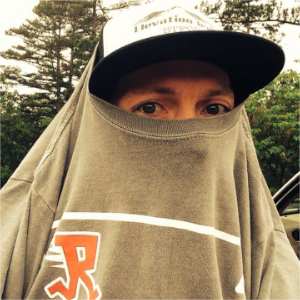 I like working at Rush Running because it gives me the opportunity to share my passion for running with others. If I could have one superpower, it would be the ability to fly. Hi! My name is Heather. I am from Branson, Missouri where I played basketball, softball, and ran track. I was a sprinter and part of the 4x400 relay team placing at the state meet each year; however, my real love was basketball. I then joined the Southeast Missouri Redhawks, a division I basketball team in Cape Girardeau, Missouri during college. I was lucky enough to experience several conference championships, as well as, two NCAA tournament appearances. Most importantly, I received a degree in Human Environmental Studies and Pre Architecture while at South East Missouri. I have been a part of the Rush Running team since 2011. I now enjoy the ultra distances, and recently completed my longest run yet at 50 miles with the support of the Rush team! I enjoy any type of outdoor activity and staying fit. I love to help other people find their passion for running and a healthy lifestyle. Stop by the shop and say hello. Just ask for Red Dirt. My name is John Lamparski. I also work for the Bentonville CVB and was part of the original group that helped to plan the first Bentonville Half Marathon. I mentioned that someone from our office should run the Half and when nobody raised their hand, I was volunteered. Now, I have spent most of my life avoiding running. Unless I was being chased, you would never find me moving quickly. But during the initial training for the first half, I found a love for running. Now 2 full’s, 13 half’s and countless local, smaller races and I am still going strong. I will never win a race, but I will be the guy in the middle of the pack smiling as he crosses the finish line. I work weekends at Rush Running and I enjoy helping all the local runners. From experts to beginners, I will do whatever I can to answer your questions and make sure you have fun while you are shopping. Stop by one weekend and say hi. Likes: Seattle Seahawks, Stand Up Comedy, Travel, Listening to Podcasts and the Seattle Seahawks! Hey I’m Brooks Hedstrom! After running cross country/track in my last two years at Bentonville High School, I spent my freshman year of college at the University of Central Arkansas. Just being a student was alright, but I really missed cross country. 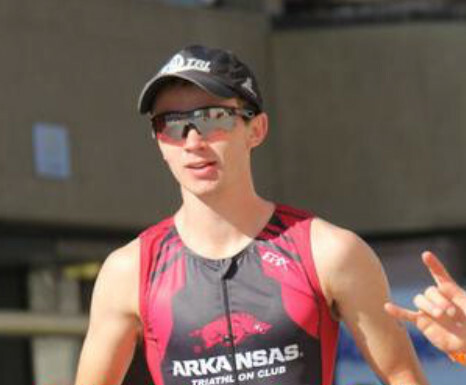 I ended up transferring to the University of Arkansas-Fort Smith where I currently run for their XC team. 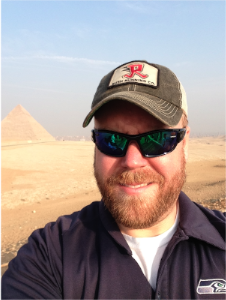 Besides running, I am pursuing a degree in history with a social studies teaching licensure. With my combined experience in running collegiately and working at Rush, I hope to someday coach my own high school cross country team, while also teaching. When I’m not at school or working, you might catch me logging miles with my boys BG, Nathan “Nate Dawg” Sellars, and Stuart “Toby” Jackson #WOLFPACK. Hi, my name is Jacob. I was born in Omaha, Nebraska and lived there until I moved to The Woodlands, Texas when I was a senior in high school. I am now currently attending the University of Arkansas studying biological engineering, planning on graduating in December 2018. I started running in middle school cross country and then moved into playing soccer in high school. I am now the president of the UofA Triathlon Club. 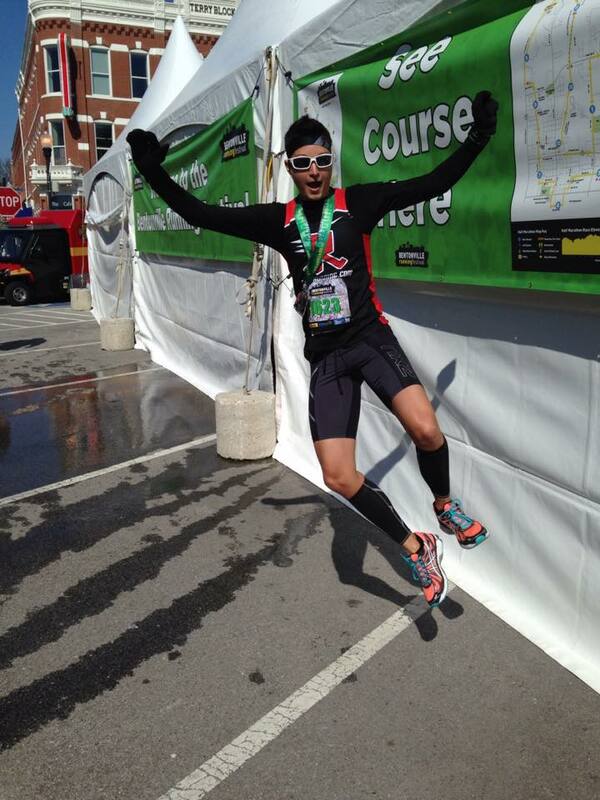 My most recent big race was finishing Ironman Louisville in October 2016 and plan to race Ironman Texas in 2018. My name is Demetrius Mulkey. I was born in Northwest Arkansas and have lived in the area my entire life. I am currently a student at the University of Arkansas and plan to graduate in 2020 with a B.S.B.A. in economics. In 2008 my father (a runner from a family of runners) introduced me to the sport of running. Shortly thereafter, I became acquainted with the Rush family and the Rush Running faithful through my oldest brother (also a runner). At this point in my life, I love running more than I ever have. I benefit from the spirit of resiliency and commitment the sport instills in me and from knowing the amazing people I train and compete with. 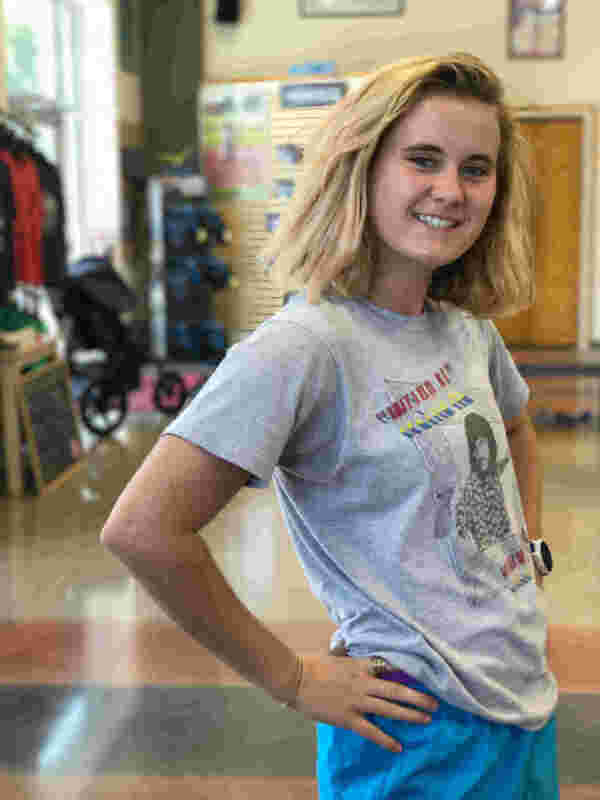 I feel fortunate to work at Rush Running Company where I have the opportunity to get to know members of our community and be a part of their running journey. No matter who you are, I always believe your most fulfilling running experiences are ahead of you. If you can dream it, you can run it. Hey guys! My name is Mary Prestipino. 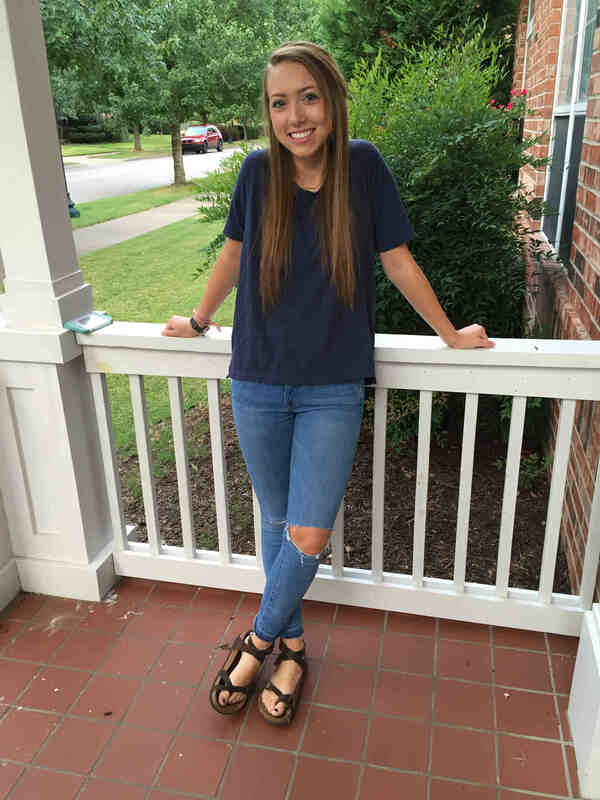 I grew up in Plano, Texas and started going to the U of A fall 2015! My running career started in the 7th grade when I did cross country for the first time and ever since then my love of running has grown. In high school I started doing track as well as cross country and mainly participated in the 1 mile and 2 mile races. Throughout my years of doing cross country and track I got a lot of running injuries and ended up having to go to a physical therapist in order to get myself back on my feet. After every injury I always came back 100% after going to my therapist and that's when I realized I wanted other people to feel 100% after an injury as well. So I decided to major in kinesiology to become a physical therapist. I love being able to help people and I hope I can continue to do so in the future! Hey guys! My name is Prissy, and I’ve been running since I was 12 years old. 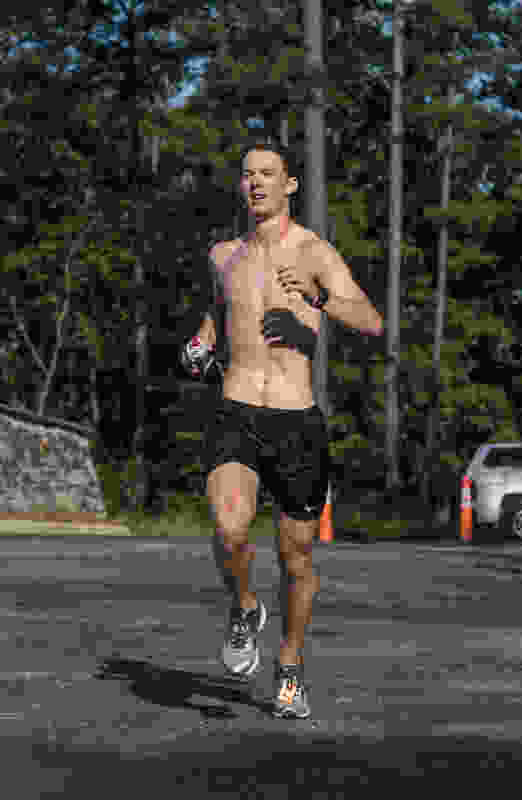 I have ran two half marathons, and would like to complete a triathlon one day. Other than running, I like doing all things outdoors such as hiking and mountain biking. I have one of those funny three legged dogs, and a brother (two legged). Hi y'all! My name is Katie Anderson and I moved to Northwest Arkansas in 2012 after earning my biology degree from Georgia Tech (Go Jackets!). I played soccer and was a gymnast growing up and decided to start running in college as a way to stay in shape. 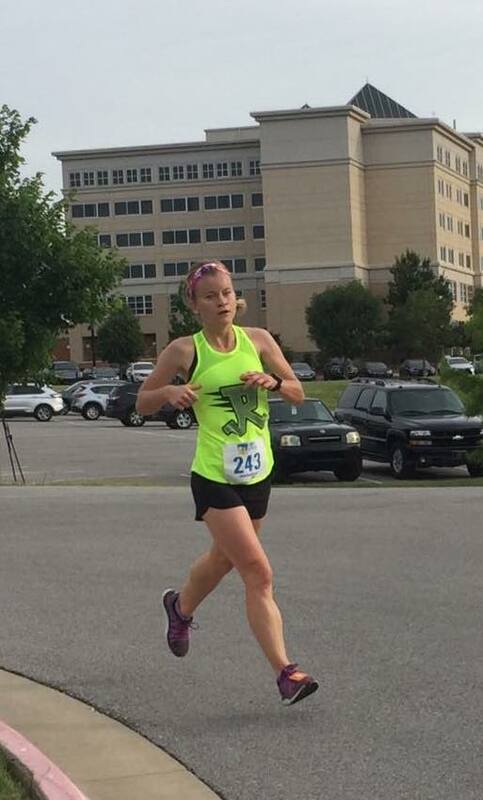 I ran my first 5k in 2010 and fell in love with this sport! My favorite distances to race are half marathons and marathons.I love working at Rush because it gives me a way to give back to this amazing running community! Stop by and see me, I love to talk about running and inspire others to start this great sport! Hello! My name is Payton Primm, and I was born and raised in Springdale, Arkansas. I began running when I joined my school cross country team in 7th grade, and I haven't stopped running since them. I ran cross country 5k races competitively for four years, three in junior high and one year in high school. I am currently a junior at Har-Ber High School. 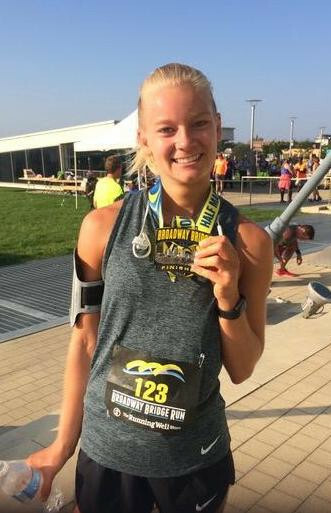 I ran a half marathon at 13 years old, and 13.1 miles has become my favorite distance. 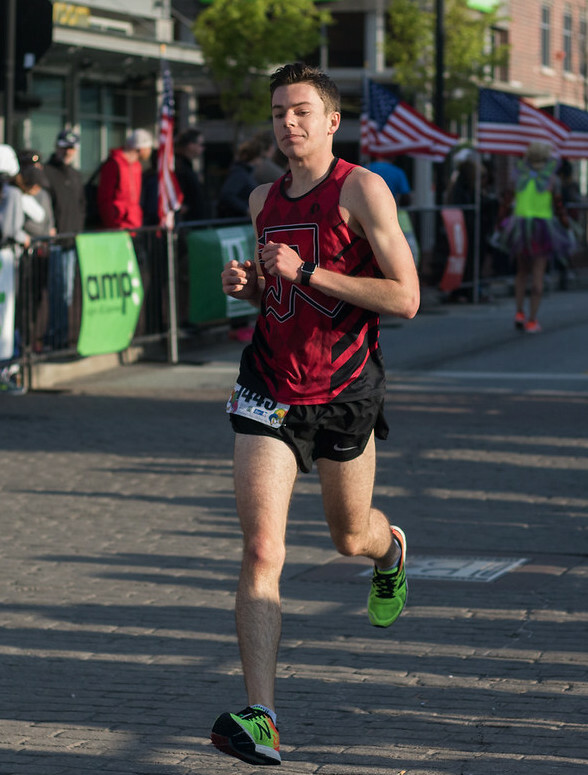 I am almost always training for a half marathon or a local 5k race, and I'm always working to improve on personal records and race times. I love to run, and I love to see people enjoy the sport as much as I do. Be sure to stop in and say hey, I would love to meet you! Hey there! I’m Coleman, sometimes known as “Cole-train”, or “The Black Lung”. 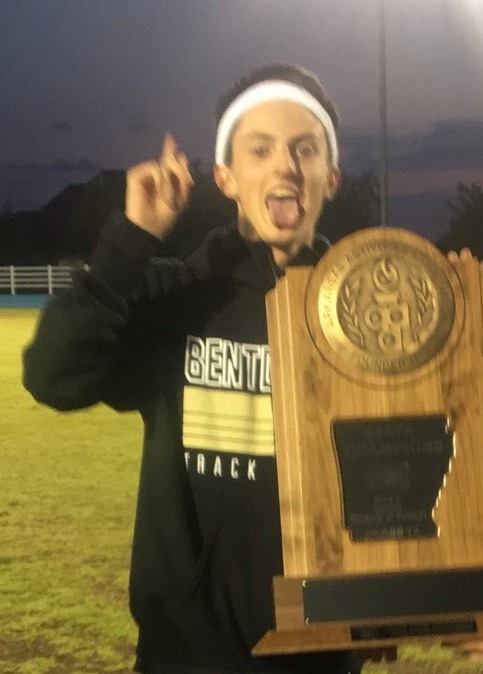 I’m a competitive cross country and track Runner for Bentonville High School. Let’s just say I’m a running freak. I like to boast that I’m faster than Drew Conner (which isn’t that hard ;) btw). I plan to eventually run in college someday and major in some type of Engineering. I’ve been in the sport for around 7+ years so ask me any questions about running and racing your heart desires! Hey y'all! I'm Taylor Johnson, and I'm from Memphis, TN. I'm currently a senior at the University of Arkansas, and I'm majoring in Agricultural Business: Marketing and Management. I started track and field and cross country in the fifth grade, and ever since then, it's been a huge part of my life. I was team captain for both teams my senior year (2013, lol). 5ks are my favorite type of races, but I'm pushing myself more and more to gain mileage. I can't wait to see where my handwork takes me!! 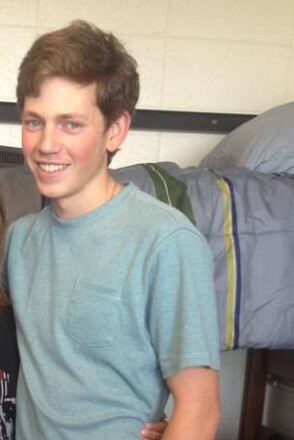 Hey I'm Caleb Chesnut and I'm from Tulsa OK. This fall I will be starting my Junior year at the University of Arkansas pursuing a degree in Civil Engineering with minors in Math and Business. After trying pretty much every sport, I started running on the cross country team in 7th grade and I haven't stopped. I'll be on the greenway when I get a break from school and work. Say hey if you see me out on the trails or at speed! Likes: music, cars, my mom's cooking, and hanging out with friends. Hi everyone! My name is Cameron Mottet and I’m from Kansas City, Missouri. I am currently studying nutrition and dietetics at The University of Arkansas in hopes of becoming a dietitian someday. I started running after high school, and have ran two half marathons so far! I plan to run many more, and maybe even a marathon someday. My hobbies include running, crossfit, cooking, and traveling. Stop by and say hi anytime! Hey Everyone! My name is Cale Wallace and I am from Houston Texas. I first came to Northwest Arkansas to run Chile Pepper with my High School team in the Fall of 2011 and I fell in love with the area. (Winning the race helped.) 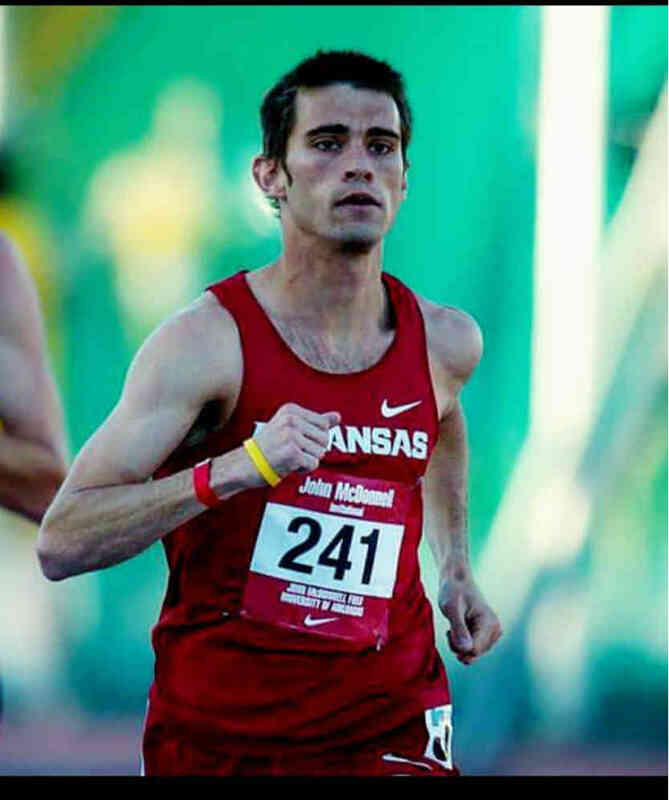 I then came to the University of Arkansas to run for the Hogs for the next 5 years where I became an All American indoors and All SEC runner in Cross Country and the Steeplechase. My PRs are 3:40.67 for the 1500 and 8:41.47 for the Steeplechase. I got my Bachelors degree in 4 years in Marketing and am currently working towards my Masters in Recreation and Sports Management. I love helping others succeed and hope to one day be a Collegiate coach. If you need any help come in the store and I'd love to help any way I can! Howdy! 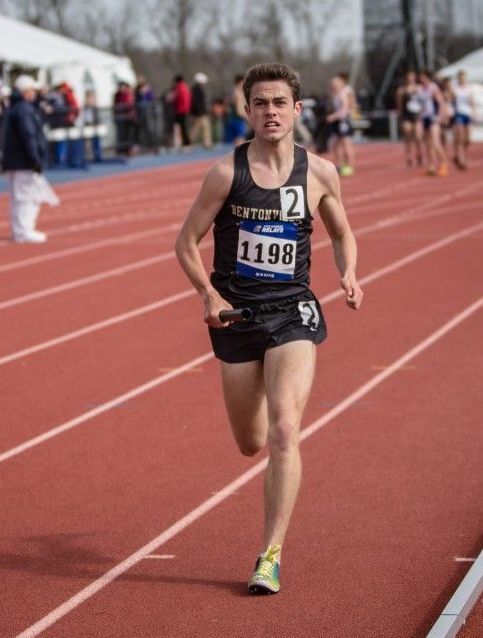 My name is Ryan, and I started running cross country in 8th grade while I still lived in Louisville, Kentucky. I moved to Norman, Oklahoma my sophomore year of high school and continued my cross country and track experiences there. I ended up making varsity all 3 years in Norman, and led the team as captain my senior year. I was not able to run for the University of Arkansas (where I am currently studying chemical engineering and applied mathematics) but I am still training on my own. I have more goals for the next couple years than I can list in this bio, but I'd love to talk if you come in the shop! 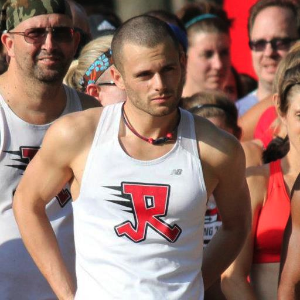 Mike and Alison Rush started running in middle school and haven't looked back since. 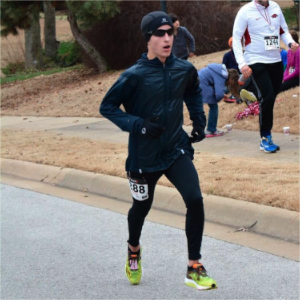 Mike continued his running career at the University of Arkansas and has coached at Fayetteville High School and local runners of all distances, from the 5k to the marathon. Alison also ran for Arkansas, finishing her senior year as the LadyBacks' first runner and qualifying for the Olympic trials in the 10K. © 2016 Rush Running Co.